There are quite a few very useful features in IRender nXt with advantages that aren’t necessarily obvious. 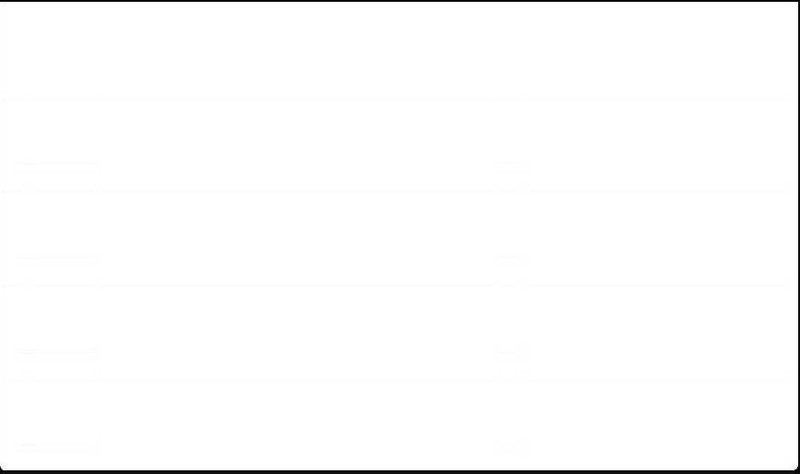 One such feature is “Auto-Reflection”. Auto-Reflection uses material name pattern matching to preset reflection intensity and sharpness. 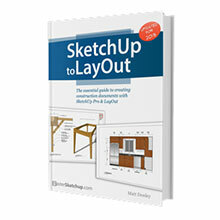 Many of the materials in the SketchUp library are included in the standard list. 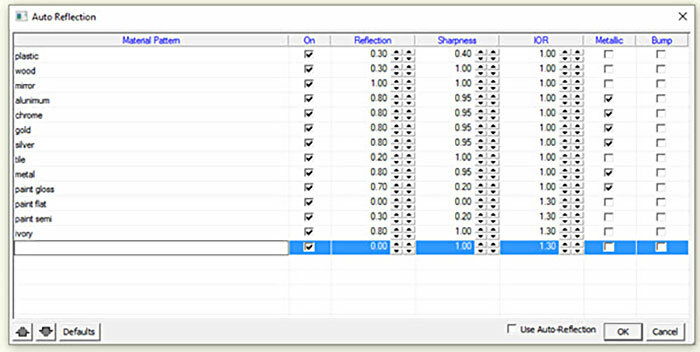 This option uses preset reflection values for materials. Just turn on Auto Reflections and render your model. 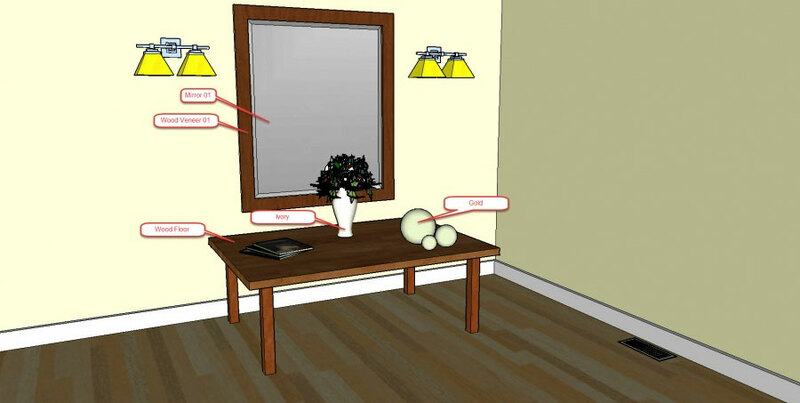 Below is a simple model with SketchUp materials. 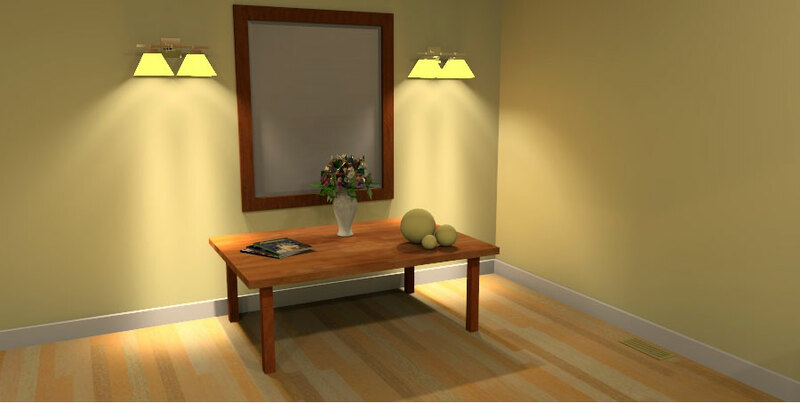 When rendered, the materials from the SketchUp library do not have reflection values set. 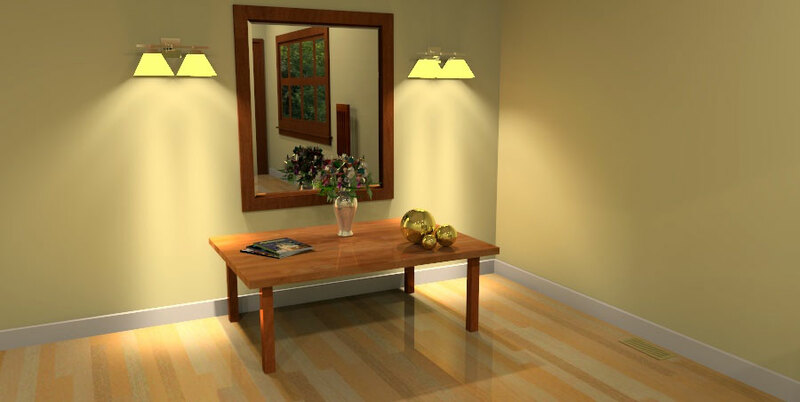 Auto Reflection uses the material name to set reflection values. Just turn Auto Reflection on and render! 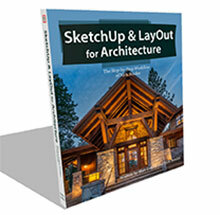 If you would like to discover more about using the IRender nXt plugin for SketchUp visit their homepage here.